Whether you’re looking for basic lawn care or comprehensive landscaping services, YardDoc is your Georgetown solution. YardDoc’s team is armed with training, expertise, and the tools needed to provide the care and maintenance your yard requires. YardDoc will take care of your lawn during every season. While some people believe that one fertilization in the spring months creates a healthy lawn, that is not the case. Limestone, clay, and sand are all abundant soil types in Georgetown. Each of these types requires specific care, which is why it is advisable to bring in a professional. We will ensure your lawn looks gorgeous while also enhancing turf health. With a wide range of services to choose from, your solution can be customized to meet your needs and maintain your budget. We can help with everything from 3-D designs to simply replacing a single plant. If you can dream it, we can install it! Check out our Landscape Installation and Design Portfolio for inspiration. Our experience gives us the expertise to control both insects and weeds in your landscaping. Along with aerating the soil, we focus on blending the appropriate combination of herbicides and nutrients, applied at precisely the right time to ensure your lawn’s health. Thorough edging and cutting practices are completed for aesthetically pleasing landscapes conducive to long-term health. We specialize in landscape remodels! YardDoc can transform any landscape challenge utilizing our expertise in plants and materials, coupled with a unique, creative approach. We can help you create an oasis of seamless landscape features with rich colors and shapes using local Georgetown climate-friendly plants and materials. Fertilizer is food for a lawn. Just as the wrong food makes your body sick, the wrong fertilizer makes your lawn sick. YardDoc’s customized approach to fertilization means that we apply the appropriate formulas for your specific lawn. We ensure that the correct proportions are used and are applied in such a way that steady nutrition is received on the appropriate timetable. YardDoc has solutions to create a nighttime oasis for you and your family! We can help create a design that will fit your budget and maximize the hours of use for space. Weeds compete for nutrients, water, and sunlight – stealing needed resources from your beautiful yard! We have a variety of techniques to stop weeds before they start and ensure healthy plants and shrubs with vibrant blooms. Who wants to waste time watering? YardDoc can help you spend more time enjoying your yard and less time dragging a hose around, by installing timer-controlled irrigation. Properly pruning trees protects your property and promotes the health of the tree by encouraging growth. Mulching is an environmentally friendly way to control weeds. It prevents the weeds from rooting and gives plants time to soak up moisture by cutting down on evaporation. Frame your beautiful landscaping with well-defined lines. YardDoc combines expertise in design and landscaping to create distinct barriers from a variety of available material. Aeration is a process that creates lush, green lawns by improving the absorption of moisture, air, and nutrients. 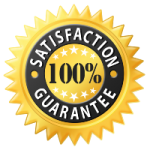 We are happy to provide a free quote. Call today and talk to a YardDoc expert about your landscaping design or lawn maintenance needs.